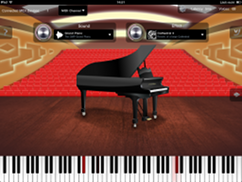 CMP Grand Piano provides a very realistic sound by using a very large collection of audio samples of more than 1.7 Gigabyte (uncompressed) in size. 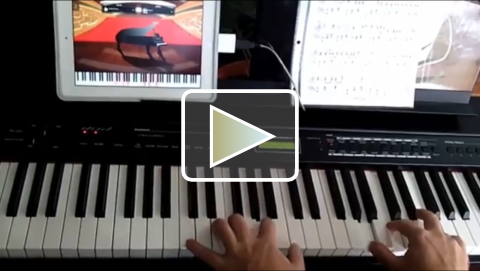 Various articulations of each key of a real piano were sampled in full length and high quality to assemble this realistic sound. Real-time disk streaming is utilized to playback the respective audio samples with very low latency. Two high quality base sounds ("Grand Piano" and "Jazz Piano") with more than 1.7 GB in size. 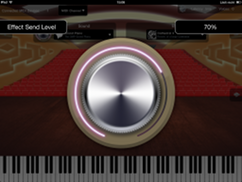 Two additional sounds available as in-app purchase ("Concert Grand" and "Upright Pianino") with additional 1.6 GB and 1.1 GB respectively in size. 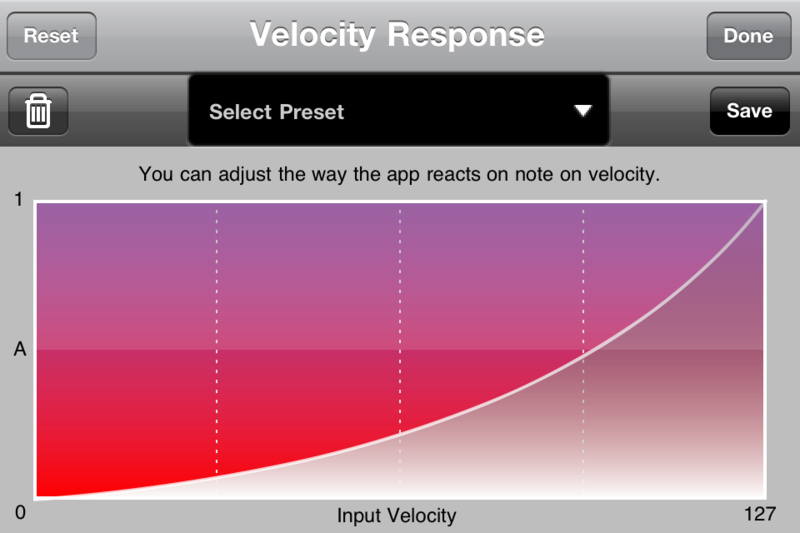 Configurable audio latency down to 5ms. 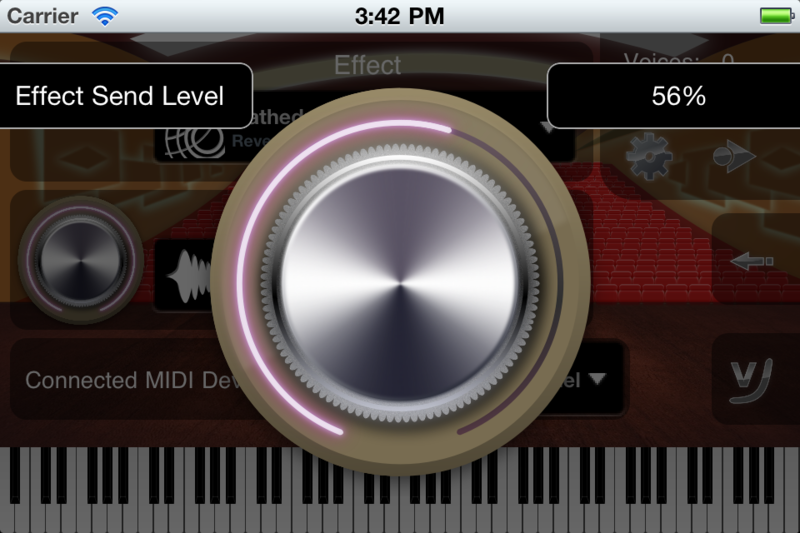 Integrated effects with 17 presets. 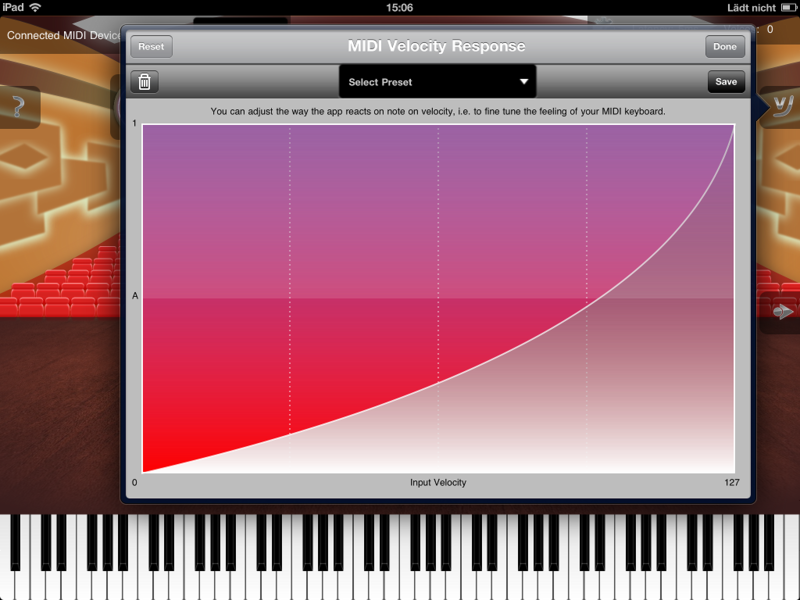 MIDI velocity response curve editor to fine tune the feeling of your MIDI keyboard, save them as presets if you use more than one keyboard. 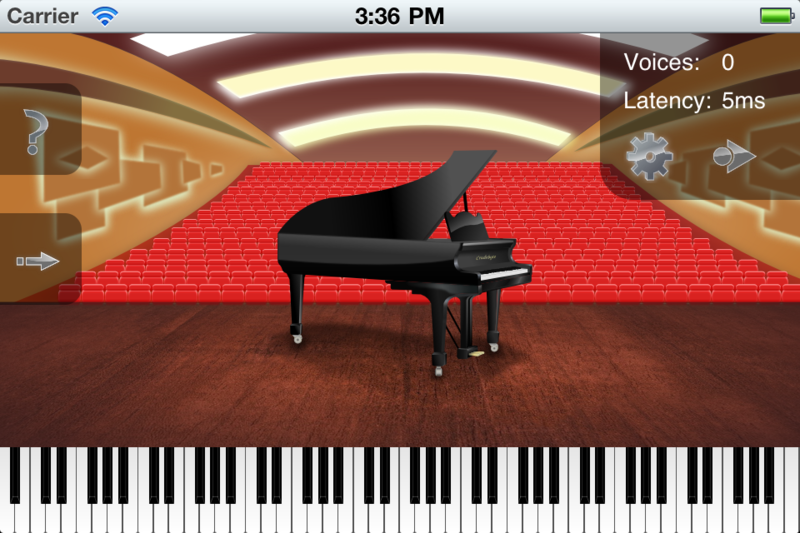 App can keep running in the background, so you can play piano while e.g. using Safari or another app to display scores or surfing the Internet. 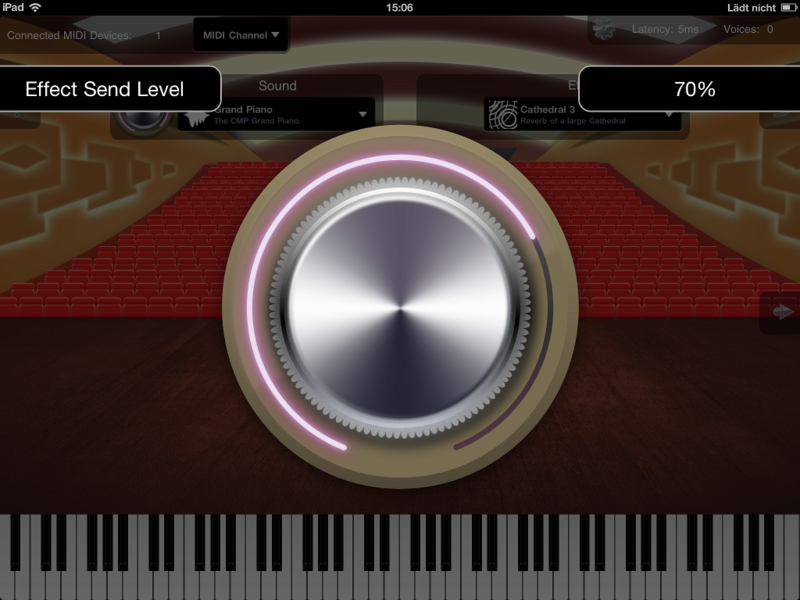 Hermode Tuning: Makes the sound more brilliant by controlling the pitch of the notes in multivoiced music to better frequency ratios than with fixed tuning. 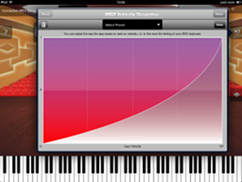 This dynamic tuning imitates the tuning behavior of well educated musicians with string and wind instruments and of singers in professional choirs. 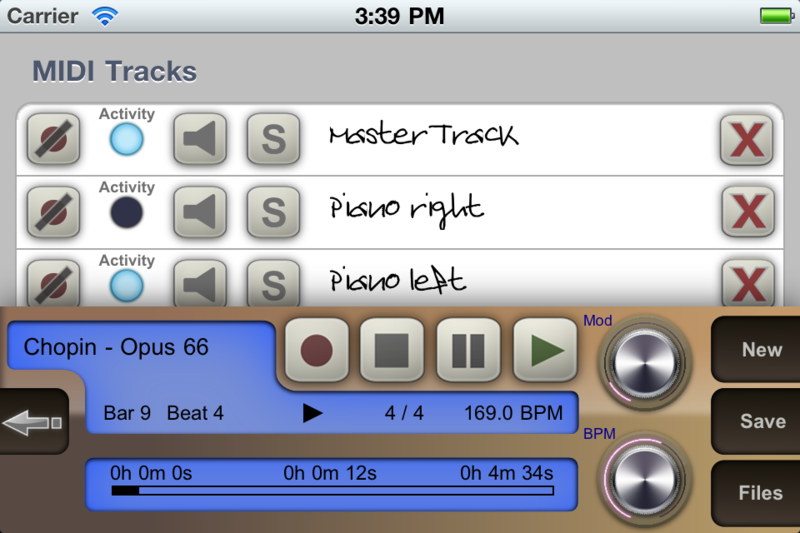 Supports Apple's "Inter-App Audio" system for audio & MIDI streaming between other apps (iOS 7 or higher). The maximum polyphony depends on the exact device model being used. 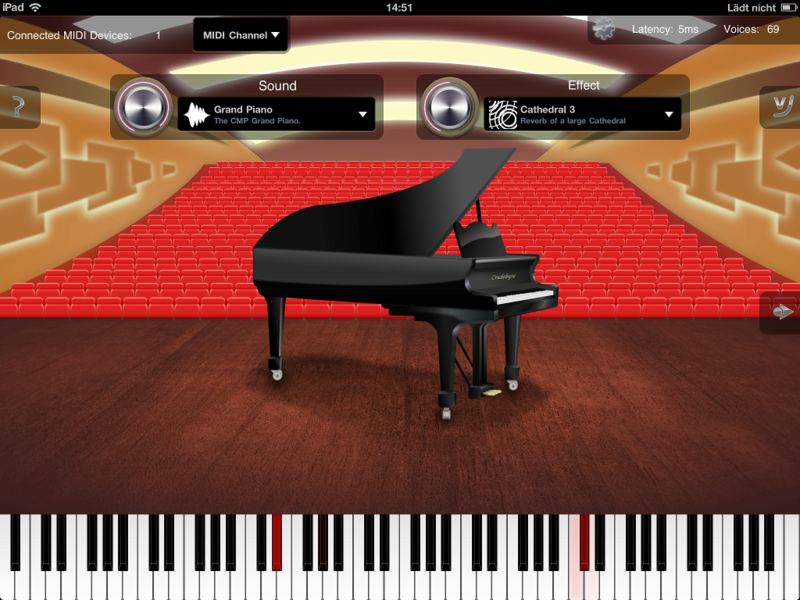 CMP Grand Piano is currently available for the following mobile phones and tablet devices. In case you encounter any problems while using this app, please report it to us by using the feedback link above. 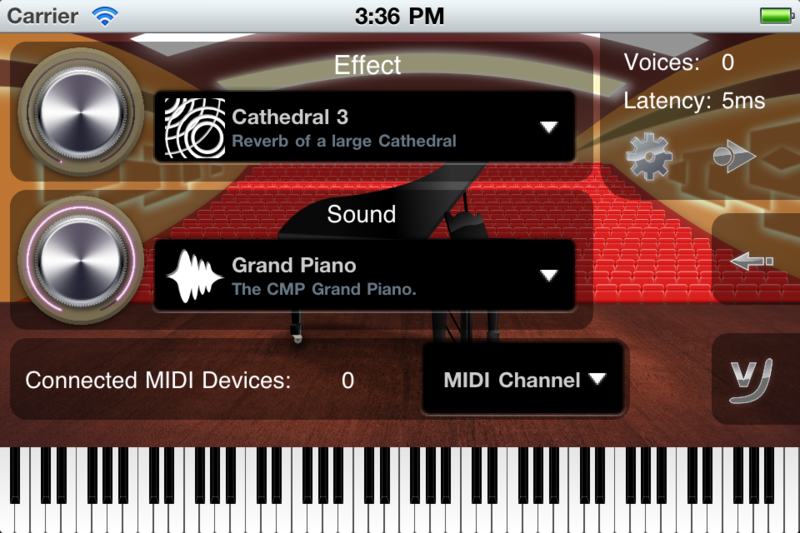 You can get CMP Grand Piano as universal binary through iTunes from the Apple App Store. You need at least iOS 4.2 or later to be able to use this app. Since this is a universal binary you only need to purchase it once and can install it on all your iOS devices, no matter if iPad, iPhone or iPod touch. You have questions about CMP Grand Piano? Don't hesitate to write us by using the feedback link above.